Get help now from a knowledge expert! This class is an introduction to the basic techniques of drawing and watercolor. Our subjects will be still-life, art reproductions and photos. The Summer class will meet in Central Park, weather permitting. Enjoy developing your rendering skills in a supportive environment. Still have questions? Ask the community. The refund policy varies by branch however in most instances a refund is only given if the Y cancels a program. Program credit may only be issued in special circumstances. We don't offer any make up classes. This course consists of multiple sessions, view schedule for sessions. Booking is safe. When you book with us your details are protected by a secure connection. Lowest price guaranteed. Classes on CourseHorse are never marked up. This class will earn you 3600 points. Points give you money off your next class! Get quick answers from CourseHorse and past students. Hi there, let’s say I miss one or two classes out of the 7. Will I be able to retrieve them later or not. Also is the course specific to learn watercolor techniques? Hi Andrea! Unfortunately, the school doesn't offer any make up classes. This class is an introduction to the basic techniques of drawing and watercolor. Is the price per session or is it for the 7 sessions together? Hi there! The price of $315 is for the whole 7 sessions. Hope this helps! What are the supplies needed for this class? Hi Corinne! I think the answer from Erica S b.elow answers your question, too. For the first class, materials are provided. You will receive a list of items to purchase in that first class. For the first class, materials are provided. You will receive a list of items to purchase in that first class. Fun class! Very chill, and a walk through from basic technique to full paintings. I was glad I'd already taken a separate drawing class, though -- very much used those skills, and it's focus is on watercolor. Nan is very patient and helpful. She cares about every student. Classes are well planned. The ArtWorks program offers a variety of classes in the visual arts, including ceramics, stained glass, drawing, and water-color. We have been offering craft classes to the Upper West Side community for over 30 years. This school has been carefully vetted by CourseHorse and is a verified NYC educator. Ready to take this class? Taking this class for work? Get exclusive perks & discounts for free. Know their schedule better than your own? Book a date and time directly. Add a name to your account. What name do you want displayed with your post? 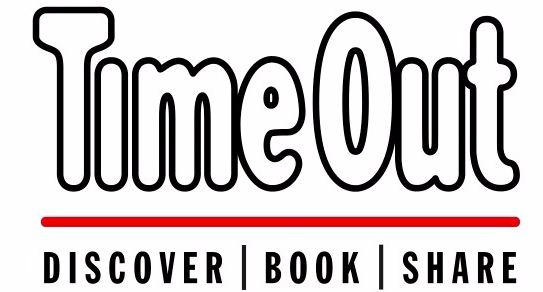 Time Out New York is not responsible for any content on CourseHorse or any of its subdomains.